I guess we cannot find more typical Bavarian food than their salty pretzels. Whereever we look, we see someone eating them. 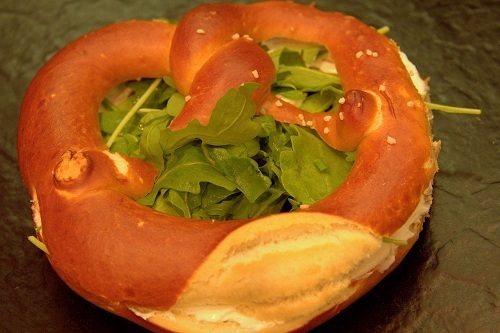 Pretzels can be eaten everywhere and anywhere, but for the locals, they go best with their draught white beer. 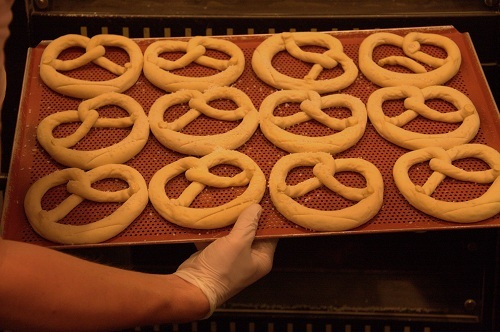 Brezelina pretzels bakery started from an idea, and now it has already 15 employees. 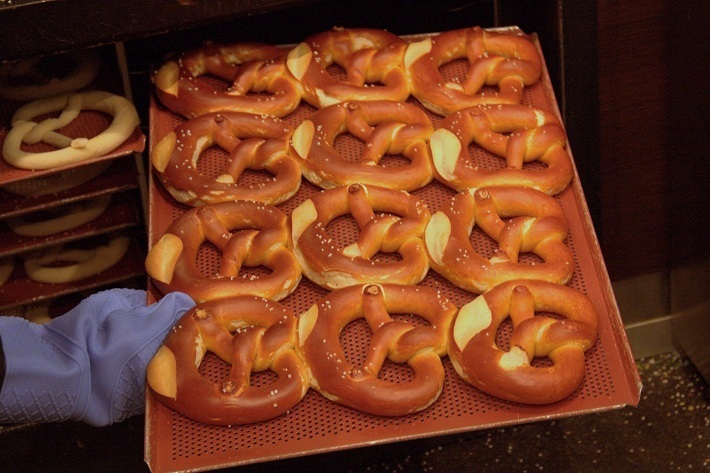 When Simon and I were exploring the streets in Munich, we could not help ourselves noticing lots of small, local bakeries, selling the traditional pretzels (German Breze). 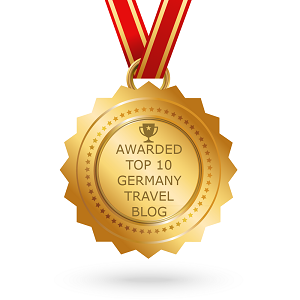 We decided that our Munich travel, which we have done due to the German National Tourist Board invitation, would just not be perfect, if not trying their typical pretzels. While exploring Munich, we used only local transport and one day we bumped into a cute little bakery shop called Brezelina. 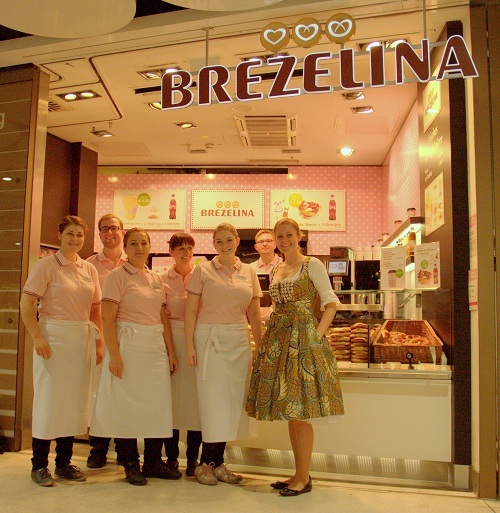 Brezelina can be found in Karlsplatz (Stachus) station. 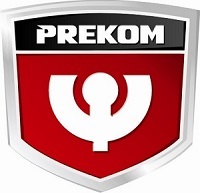 We can recognize it because of its unique and rather untypical color. 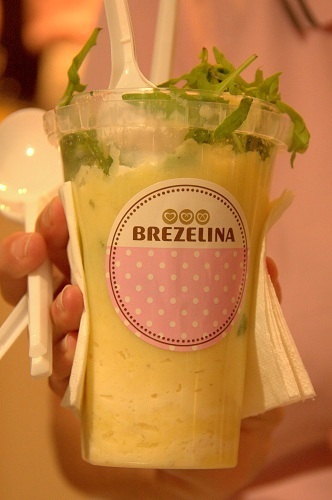 Everything in Brezelina is in a typical girly color – pink. I did find it cute from the start, but Simon just smiled. Anyway, Brezelina offers 11 different types of pretzels – from the simple ones without anything, to pretzels with different fillings. 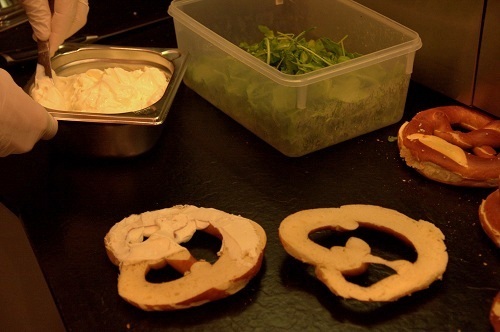 I immediately felt for fresh cheese and arugula, but Simon was more into typical Bavarian taste – mustard and honey. Both were very good, I must admit you that! It was nice seeing how well Brezelina did connect tradition with trendy fast food thinking. While choosing the next pretzel to taste, we have been engaged into conversation with the owner, who explained us the whole idea about Brezelina. Everything started because of love to pretzels, as all in the family like them. Five years later, this business has already 15 employees. 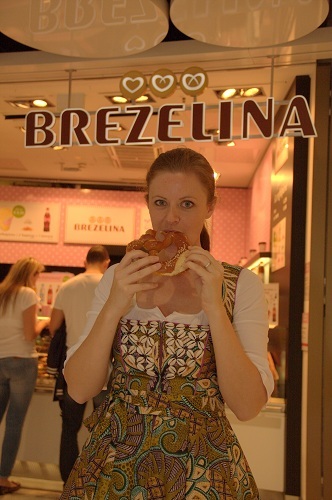 The shop-manager recommended us a pretzel with the most typical Bavarian filling called Obatzda. The Obatzda is made from fresh cheese, camembert, butter and red powder paprika. 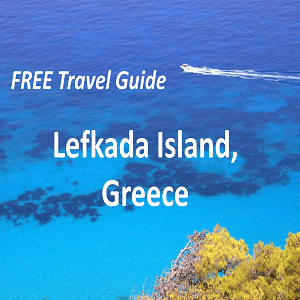 If you like this kind of things, you will like it for sure! The Obatzda was actually so good in taste that we have eaten it for few more times during our stay in Munich. The Brezelina bakery is pretty popular among locals; in fact they have lots of regular costumers. Some of them even order bigger quantities of pretzels to take them home with and serving them at family events like birthdays and other celebrations. 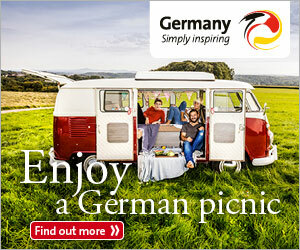 Plain or with a filling – it does not matter, as they are all good! The Brezelina bakery does not offer only pretzels, but as well freshly and home-made mashed potato. Maybe that sounds a little bit strange, but lots of younger generations in Munich have never even tasted the real mashed potato, as they only know the industry produced one. We loved the idea that you can get mashed potato in different toppings like cheese, arugula, bacon, sour cream, chives. Their big portion of mashed potato is enough for a quick lunch and it would not be bad if finding this in some other cities as well. Any volunteers? The Brezelina bakery is a nice example, how you can combine tradition with the fast food trend and become successful. Well, but one thing is certain – if you like doing something and putting lots of positive energy in it, your work never stay unnoticed and success is always guaranteed!